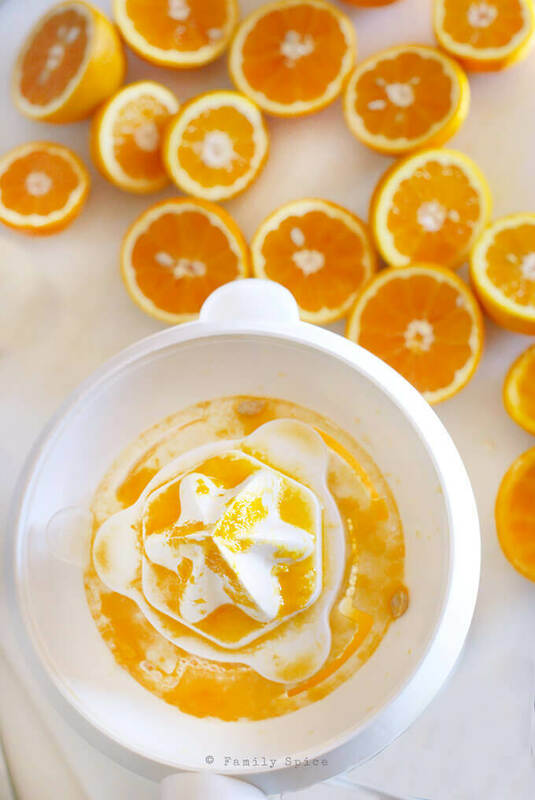 Creamy Orange Sherbet, full of orange flavor because fresh orange zest and orange juice is used to make this dreamy treat. We’re almost halfway into April and that means the warm summer months aren’t too far behind. If you are thawing out of an icy winter, then you are totally looking forward to warmer weather. I’m a wimp to cold weather so I am always wanting the sun to shine. But, it’s only spring. And there is still a chill in the air. But that doesn’t stop my kids from wanting ice cream. It could be the dead of winter, my kids (and probably MOST kids!) want their ice cream. Back in January I was able to visit an orange grove and I came home with hundreds of Valencia oranges. My husband and I spent most of January with the juicer, and my house was bursting with the scent of Upside-Down Orange Cake, Whole Wheat Orange Scones with Chia Seeds, Orange Marmalade, Orange Barbecue Pulled Pork. And there was Orange Sherbet, too. I had a big dilemma trying to figure out if this was an ice cream or sherbet. A sorbet is all fruit, and no dairy. A granita is a coarser version of sorbet. A sherbet includes fruit and dairy. And ice cream does not have to have fruit, but it does have a certain amount of fat. This orange sherbet is made with orange zest, orange juice, heavy cream and a touch of orange blossom water. I churned it in my handy-dandy ice cream machine and finished it off with 4 hours in the freezer. 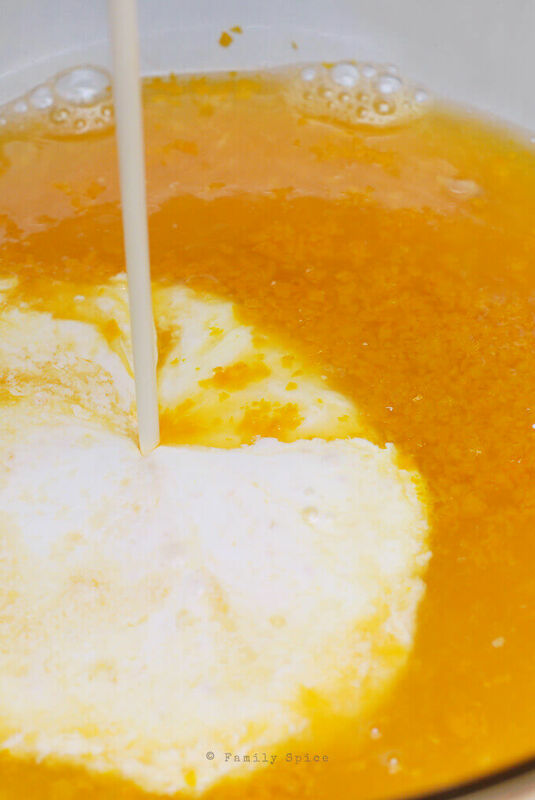 Because it is made with orange juice, it’s not as smooth as an ice cream made of only cream. There’s a bit of ice in it. 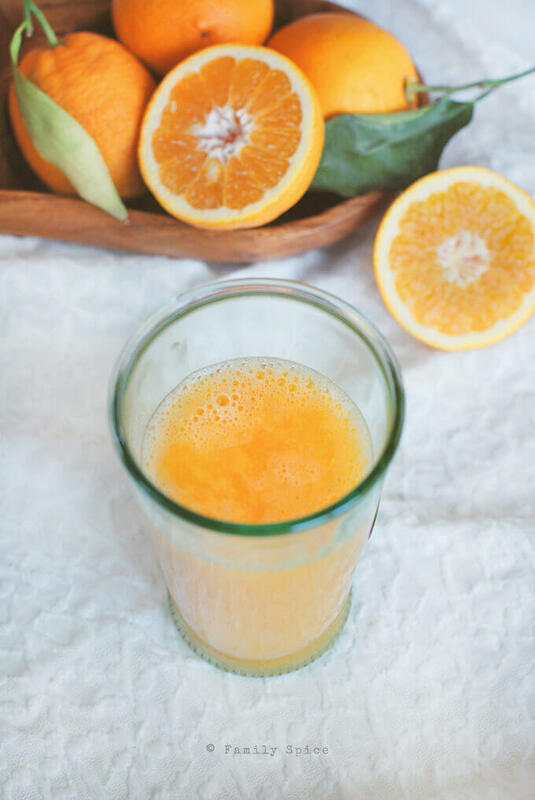 When I cut back on the orange juice and upped the heavy cream, my taste-testers said they preferred the orange flavor AND texture of the first version. And, this is the one I’m sharing with you. My kids didn’t mind the icy texture of this orange ice cream. In fact, Middle Child pretty much ate the entire batch himself. He’s so cute. How could I say no? Cover bowl and chill in the refrigerator for 1 hour. 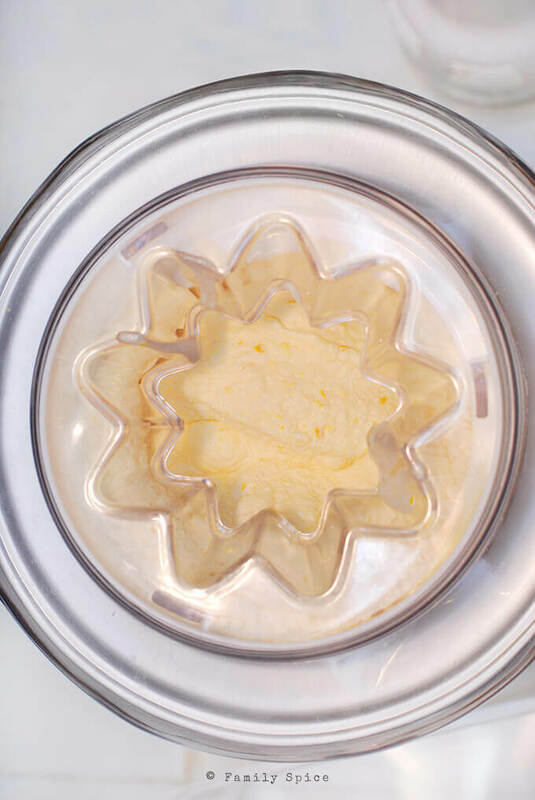 Pour mixture into an ice cream machine and run until ice cream is smooth and semi-frozen, the consistency with soft-serve ice cream. Transfer sherbet mixture into a container, cover and freeze for 4 hours. Serving Suggestions: Serve alone or top with orange slices and fresh fruit. Kids will be rejoicing on this orange delights. Delicious sherbet to feast on a summer day. Refreshing!. . =). This sherbet looks absolutely fantastic! Time to buy tons of oranges! Good thing I bought ice cream maker last summer – this year I can start making ice cream early! I’ll be making this this year! Sometimes we want something a little bit lighter than what I call add in ice cream. Add in ice cream is basically vanilla ice cream with candy cookies or different things added in. Kind of like the heavy Ben and Jerry’s style. 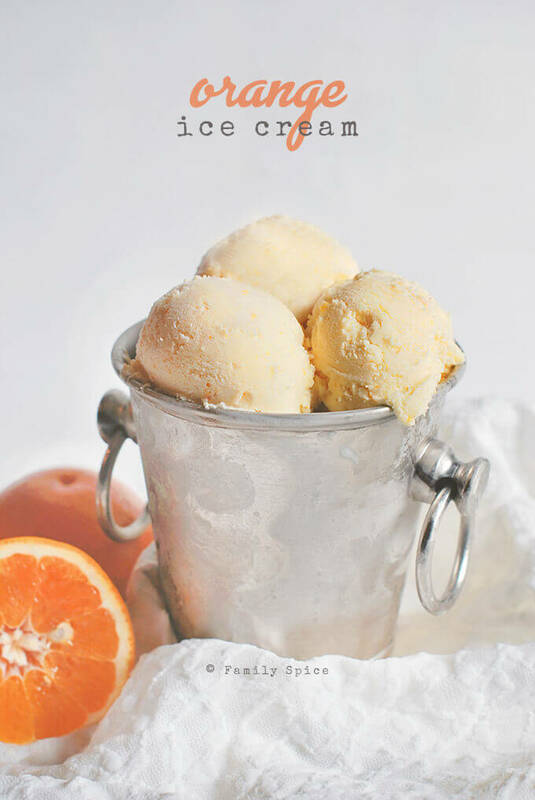 Your sherbert here is just the ticket- a pop of tangy orange flavor in a frosty treat. I like the fact it not only has fresh squeezed orange juice in it, but orange blossom water as well. Delicious post! Wow!! I love ur props( and the sorbet ofcourse)…i really want that bucket!!! 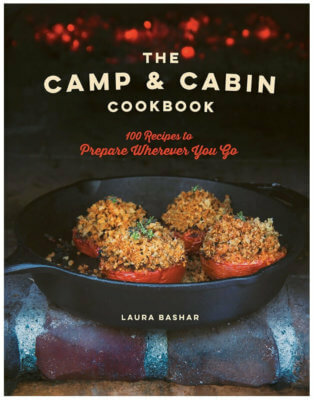 It needs to get a little warmer here but when it does – this is at the top of the list! I can almost taste it looking at those beautiful pictures! Just hopped over from Nami’s blog and read your guest post which is amazing! Great to meet you. This sorbet looks so refreshing and delicious! I am going to try it out soon. Thank you so much! I hope you try the mojito AND this sorbet real soon! Looking forward to checking out your blog. I never truly appreciated sherbet until I had a homemade lemon version which was a true stunner. Your orange one looks silky and just downright delicious. We are edging on winter here in Melbourne, but as you’ve said, this is truly an indulgence for any time of year. Wow those sherbet looks good! You just made me drool.